Question? Call (250) 758-2401 to speak to our knowledgable staff. We can deliver any of the products that we sell – and fast! Stop by our yard to pick-up yourself – we load while you wait! 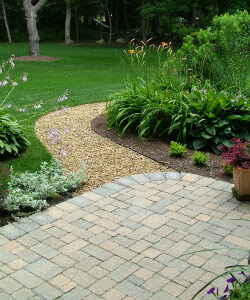 Of course, there’s only so much a website can say about soil, stones, and pavers. Sometimes it’s best to stop by the store in person to compare colours, check out the newest paver styles, or get your hands right in the garden soil to check out its richness. We’ve got a (surprisingly) large, well-stocked Rentals & Sales yard, complete with over 25 bins full of bulk sand, gravel, and soil, nestled right in the centre of Nanaimo, at 1716 Northfield Road. Phone us at (250) 758-2401 if you have any questions (you'll find the store hours on the contact page). We hope to see you soon!